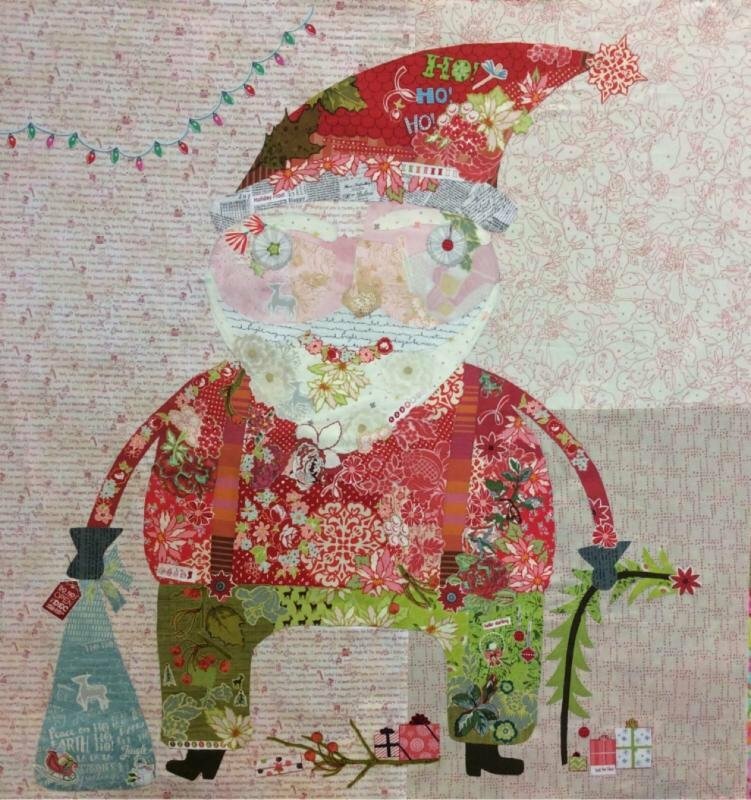 This fun little folk art Santa will add joy to your holiday home! Pattern includes complete color step by step instruction on completing this fused applique collage. Full Sized pattern. Size 40w x 41h.